​COLUMBUS – Kaleidoscope Youth Center (KYC) has announced the establishment of the “Kaleidoscope Youth Center Endowment Fund” of the Columbus Foundation, after a generous gift from Andrew Levitt. After a $10,000 donation from Levitt, KYC worked with the Columbus Foundation to plan and establish the endowment in honor of the organization’s 25th Anniversary year. This marks the first LGBTQ-centered organization in Ohio to have an endowment fund, which will act as a long term fund to support programming and operations of KYC. Levitt, whose drag persona is Nina West, has been a longtime friend and supporter of KYC. Together with Virginia West, they have raised over $50,000 in the past several years for the organization. After founding the Nina West Fund, also of the Columbus Foundation, Levitt has continued to support KYC and a variety of other LGBTQ+ and family-related organizations by collecting donations from each of his charity shows. Overall, the fund has raised $2 million for local, state, and national organizations. KYC has previously honored Levitt for his philanthropy and commitment to supporting LGBTQIA+ youth by naming a room in the KYC drop-in Center the “Virginia West and Nina West Performance Space”. 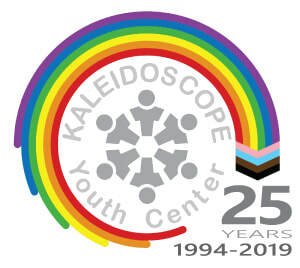 Established in 1994, Kaleidoscope Youth Center is celebrating their 25th year serving and supporting LGBTQIA+ youth and young adults in Central Ohio. They support those who are struggling with identity issues, family discord, mental health problems, or the challenges of adolescence. KYC also provides youth and community education about LGBTQIA+ issues and advocates for safe and inclusive spaces everywhere. ​COLUMBUS – Kaleidoscope Youth Center has been awarded an $102,152 grant from Ohio Attorney General Mike DeWine’s office through the Victims of Crime Act and State Victim Assistance Act funding. In total, $111.8 million in grants have been awarded from the office for organizations throughout the state. “This grant is the launching point for our initiatives that will serve and support young adults ages 18-24,” announced Erin Upchurch, LISW-S, Executive Director of KYC. “Traditional programming serves those whom are at imminent risk of homelessness or are literally homeless. While this program can include those individuals, our intention is prevention, with the focus on disrupting and decreasing the risk factors that may lead to homelessness." The Rapid Re-Housing (RRH) Program is an intervention designed to help individuals prevent or quickly exit homelessness and enter into stable housing. Assistance is available in the forms of move-in and rental assistance, housing identification, and support. Participants will be provided a case manager and support team to assist in developing and implementing a case plan, with the ultimate goal being to move into safe, stable, and independent housing opportunities. “The program is a tool focused on preventing homelessness and the often subsequent crises, and to provide our young people with support to build and strengthen resiliency and life skills,” Upchurch added. The pilot RRH program is expected to be in place, serving up to 5 youth, by early 2019. Established in 1994, Kaleidoscope Youth Center (KYC) works in partnership with young people in Central Ohio to create safe and empowering environments for LGBTQ and ally youth ages 12 – 20. They support youth who are struggling with identity issues, family discord, mental health problems, or the challenges of adolescence; educate youth and the community about LGBTQ issues; and advocate for safe and inclusive spaces everywhere. COLUMBUS – The Board of Directors of Kaleidoscope Youth Center (KYC) today announced that Erin Upchurch, MSSA, LISW-S will become the next Executive Director of the youth organization effective on April 16, 2018. Upchurch is currently the Assistant Clinical Director at Netcare Corporation and a Community Lecturer and Field Instructor at Ohio State University’s College of Social Work. Upchurch is well known in the community as an advocate and leader, having ran in 2017 for the Columbus City School Board on the Yes, We Can Columbus ticket. Earning her Bachelors in Social Work from Eastern Michigan University, and her Masters in Social Administration from Case Western Reserve University, she has experience working with youth and families in areas of mental health and trauma recovery. Additionally, she is the co-founder of Columbus Urban Pride and New Leaf Columbus. She also has served on numerous agency boards including TransOhio and the Ohio AIDS Coalition. Currently, she is on the board for the Central Ohio Fair Housing Association. As a social worker and advocate, Upchurch has dedicated her life to supporting underserved and marginalized communities. Her work has garnered her numerous awards as well as featured speaking engagements with ACLU Columbus, Equality Ohio, and TEDx Columbus. Upchurch is succeeding former Executive Director Amy Eldridge who resigned in 2017 after six years with the organization.